Reed Vitalizer offers maintenance-free reed storage. The patented Humidipak technology uses two-way humidity control to prevent warping and keep your reeds stable in any weather conditions. Reed Vitalizer Humidity Control Packs will last 45-60 days. When the pack becomes hard, simply discard and replace with a new pack. 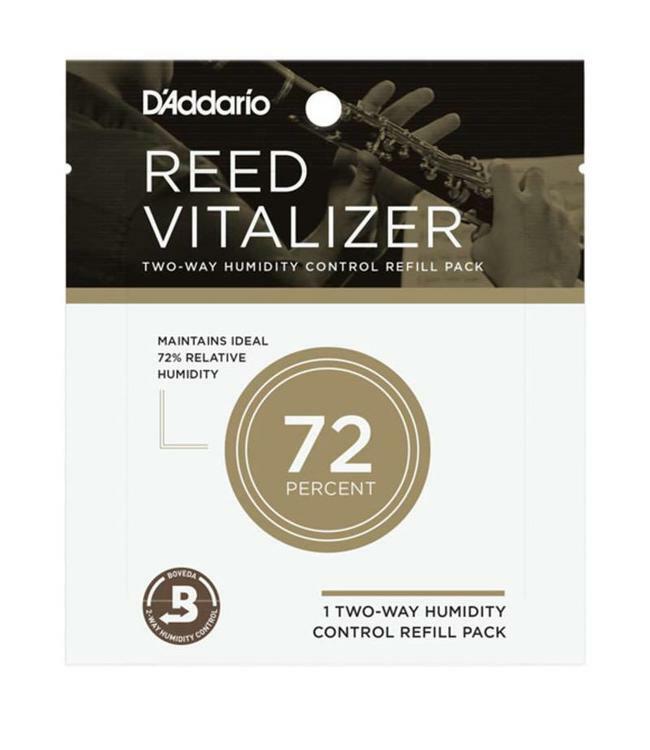 Reed Vitalizer is offered in three relative humidity levels, for various needs: 58% (stable storage), 73% (requires minimal wetting), and 84% (ready to play).